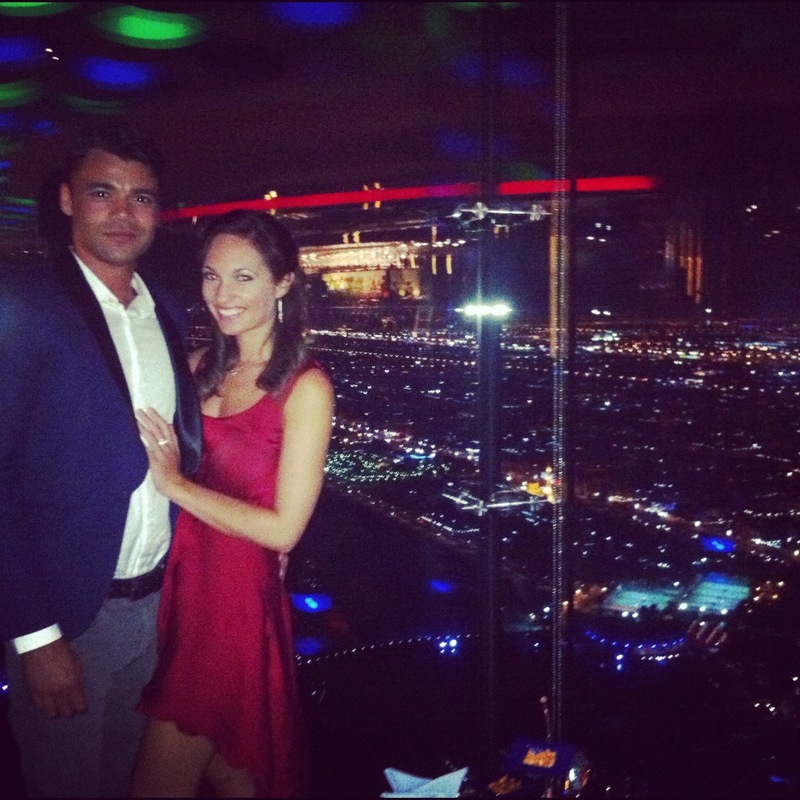 Drinks and “birthday cake” at the top of the Burj Al Arab. What a view! !